Your Providence business can benefit from the 2018 Mercedes-Benz Metris cargo van and all of the interior amenities it offers. What separates this model from vans is the Metris interior features, which allow for a variety of upfit solutions, plenty of cargo space, and a variety of convenience features to make the drive more exciting. 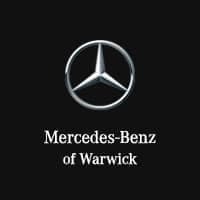 Check out the Mercedes-Benz Metris interior features below before heading to Mercedes-Benz of Warwick. From more passenger seating, to specialized storage and organization, to a refrigeration system, this new cargo van can be customized for your specific needs. You have your choice of Mercedes-Benz cargo vans, so stop by Mercedes-Benz of Warwick to compare the Sprinter vs. Metris and explore the Sprinter interior as well. Both models are perfect for your job-related needs, so contact us today to schedule your test drive or learn more about the Mercedes-Benz vans specials.